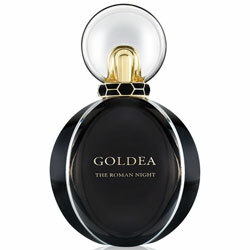 Goldea The Roman Night by Bvlgari - A new floral chypre musk fragrance for women reminiscent of the Eternal City. Created by master perfumer Alberto Morillas, this contemporary musky floral chypre includes notes of white mulberry, black peony, Chinese jasmine, tuberose absolute, patchouli, vetiver, and black musks. The original Bvlgari Goldea perfume bottle in a black lacquer houses the bold scent. Launched in September 2017 this perfume is available in an eau de parfum spray and matching body products from Sephora, ULTA, and Macy's. The fragrance campaign ads feature Bella Hadid as the Queen of the Night photographed by Glen Luchford. Package Design The classic Goldea perfume bottle features a black lacquer finish. 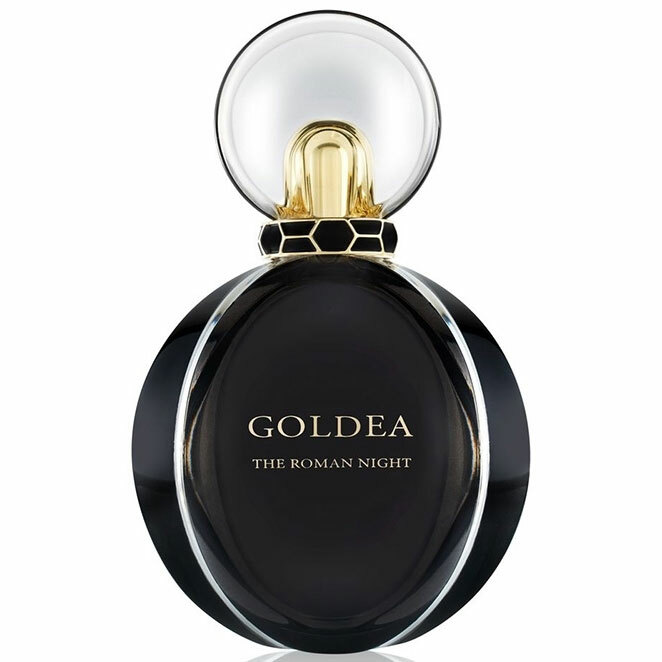 GOLDEA THE ROMAN NIGHT fragrance evokes the sensually romantic mood that a starry night in the Eternal City of Rome creates. A luminous, dazzling and ultra-seductive fragrance for the woman who emanates a touch of mystery. We reinvented the distinct and symbolic GOLDEA bottle with this exclusive design. A sleek, shimmering black lacquer coating subtly plays with light and translucency, creating a mysterious allure as bold as the scent itself. Chypre - somewhere in between shadow and light. Master-Perfumer Alberto Morillas captured the vibrant sensuality of a Roman night with this modern, elegant Chypre Floral Musk fragrance. Luscious Mulberry, Black Peony: Delectable notes brimming with luscious ripe berries suffuse the heart with their floral energy. An infusion of Night-Blooming Jasmine and Tuberose Absolute: Beautiful, mysterious nocturnal white blossoms add their olfactory radiance to the hypnotice character of the fragrance. Black Musk, Patchouli Heart: Vetiver Musk cloaked in black and wood infuse the fragrance with feminine strength and vibrant charisma. Spontaneous, ultra-feminine and instinctive Bella Hadid is a true Queen of the Night. Follow her unforgettable journey as she takes you through an unexpected Roman night when the Eternal City sparkles and glows. Alberto Morillas reinvented Chypre - one of the most iconic scents in perfumery - and infused it with his own special audacity, combining the essential ingredients that define its particular character to create this modern, sophisticated fragrance.